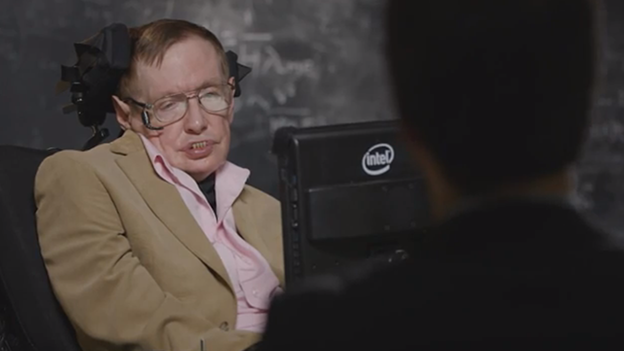 Intel has released the software that helps Professor Stephen Hawking to speak, making the open source platform available for anyone to use. The system is known as Assistive Context-Aware Toolkit, or ACAT. It was originally developed by Intel boffins over the course of three years, with Hawking himself playing a major role in the design of the project during that time. ACAT runs on Windows and reads visual signals, translating them into words which are spoken by a machine, and in the case of Hawking, the toolkit reads small movements in his cheek, allowing him to verbalise his thoughts. Of course, any part of the body which still has movement can be used. The hope is that the publication of the full software online will encourage further use and development – adding new interfaces, sensing modalities and other features – which will further help the sufferers of debilitative conditions such as the various forms of motor neurone disease. The program isn't limited to facilitating speech, and can also be employed to allow users to browse the web, manage and edit documents, and other common computing tasks. Euan MacDonald, an MND sufferer who runs a website, told the BBC: “AAC [Augmentative and Alternative Communication] is an absolutely fundamental part of my life. Unlike medical research, technology is moving very quickly and it's exciting to see new things emerge every year. The more that technology can help us express what we are thinking, the better." Like this? Then check out: Stephen Hawking warns AI "could be a real danger"